We Do It Right! Anywhere from Squamish to Hope and anywhere in between. This is our bread and butter, and we offer the best service so that customers keep coming back and recommending us to friends. We specialize in small to medium-sized moves, but if you aren't going very far, we can certainly do bigger moves too. Call For Our Best Prices! 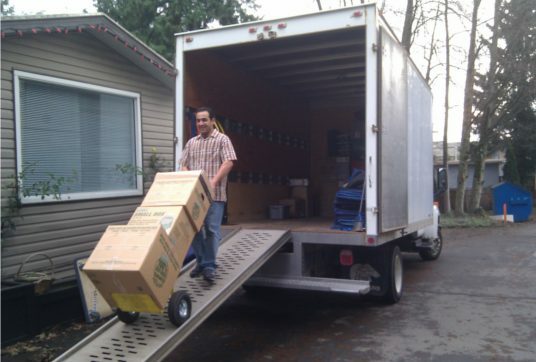 For moves within British Columbia, we offer excellent service and rates for your mid-sized move. From 1 bedroom apartments to 3 bedroom townhouses, we're there for you. Trust us to Pack it Right! Are you planning to rent a truck and do the driving yourself? Or are you thinking of renting a container/pod/ubox for storage or a long trip? Talk to us first, and we can give you advice to do it right for less.